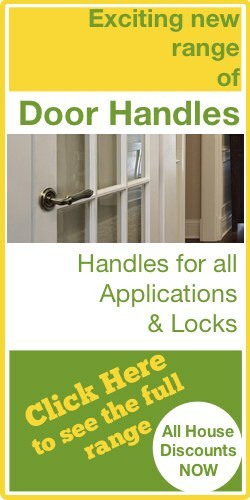 The ASEC KITE security handle range is designed for front doors with multipoint locks. This is the offset version designed for multipoint locks with split spindle operation at two different locations - 92mm and 62mm from the cylinder in this case. 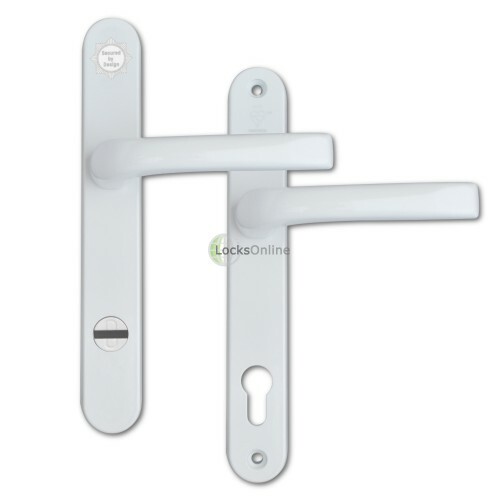 The handles themselves grant a great range of security features, achieving PAS24 / Secured By Design approval, as well as gaining 2 star TS007 standard which can be coupled with a 1-Star TS007 cylinder to achieve a complete 3-Star TS007 rating. 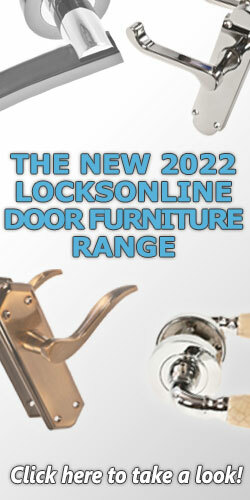 As a preventative method, the manufacturer has thought to stamp the Secured By Design mark in a very obvious location, at the top of the handle. 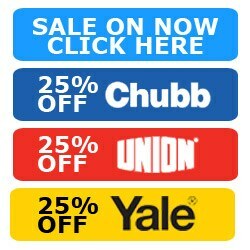 This is a great deterrent as any thief will know what this means, and will be far less likely to break into a home they can visibly see is a security conscious one. Much like having an alarm box on the outside of your house. This is the 240mm backplate version, which has two fixing points, one at the bottom of the backplate and one at the top, at distance of 211mm apart, measured centre to centre. One of the most pleasing security features for most people, is the integrated cylinder guard, offering snap-resistance protection to your cylinder. 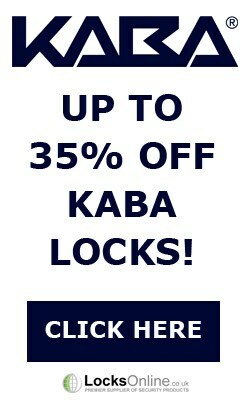 However there are many more security features people are less inclined to look for, that are also important and offer vital defences to your multipoint lock. 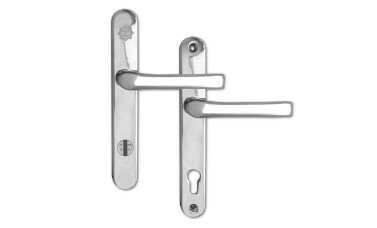 With a reinforced steel body concealed within the backplate, secured by hardened steel M6 bolts, the physical strength of these handles has been radically increased compared to standard uPVC door handles. This backplate also houses a rotating anti-drill cylinder shield to protect your cylinder against drilling. Another simple yet affective preventative security method that has been worked into the design of these handles, is that the backplate is slightly chamfered, which works as an anti-grip solution to prevent the use of mole-grips or clamps being used to circumvent the additional layers of security that these handles provide. 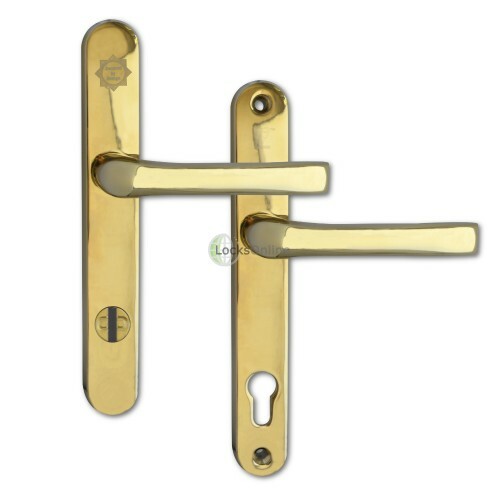 While security is important, so are aesthetics when it comes to the front door of your home, so these front door handles are available in White, Gold and Chrome finishes to suit the majority of door styles out there.